Sparring, also called kumite, is used to train the application of the various techniques within a fighting situation. Sparring is usually an important part of training in most Kyokushin organizations, especially at the upper levels with experienced students. 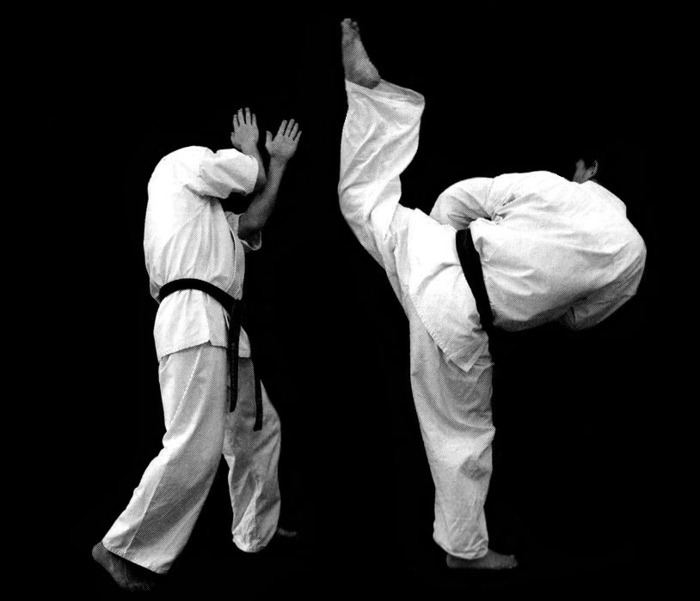 In most Kyokushin organizations, hand and elbow strikes to the head or neck are prohibited. However, kicks to the head, knee strikes, punches to the upper body, and kicks to the inner and outer leg are permitted. 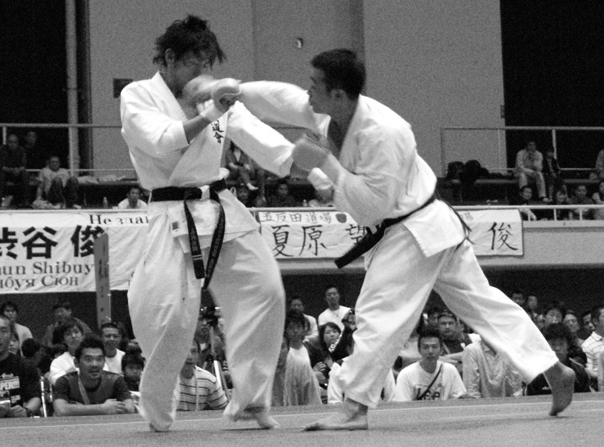 In some Kyokushin organizations, especially outside of a tournament environment, gloves and shin protectors are worn. Children often wear headgear to lessen the impact of any kicks to the head. Speed and control are instrumental in sparring and in a training environment it is not the intention of either practitioner to injure his opponent as much as it is to successfully execute the proper strike. Tournament fighting under knockdown karate rules is significantly different as the objective is to down an opponent. Full-contact sparring in Kyokushin is considered the ultimate test of strength, endurance, and spirit.